WE SUPPLY PLASTIC BARRELS AND ALSO CONTAINERS. We Deliver empty barrels to your home address and collect when ready to ship at no extra cost around Luton, other areas delivery/collection charge may apply or you can deliver your barrels to us. USA & CANADA – SOUTH AFRICA – MIDDLE EAST – INDIAN (SUB – CONTINENT) – MEDITERRANEAN – AFRICA – ASIA – AUSTRALIA. PAYMENT MUST BE MADE ON DELIVERY OF BARRELS. Full containers are supplied and positioned at a loading point of your choice or they can be loaded from our warehouse. 48hrs notice is required on booking. Loading time is normally 3 hours, but if required more time can be given at an extra cost. Arrangements can also be made for loading during the weekends and this also attracts an extra cost. Returning residents normally use this service to take their household goods and vehicles back home. We can also arrange for a warehouse with loading bays in Luton, Bedford, Northampton, Leeds, Bradford, Bristol, Brighton, Reading, Manchester, Birmingham, Leicester, Coventry, Southampton, Dartford, London Nottingham, Oxford, and many more. Please contact us for rates on this service. RATES DO NOT INCLUDE DUTIES , TAXES OR ANY DESTINATION CHARGES. 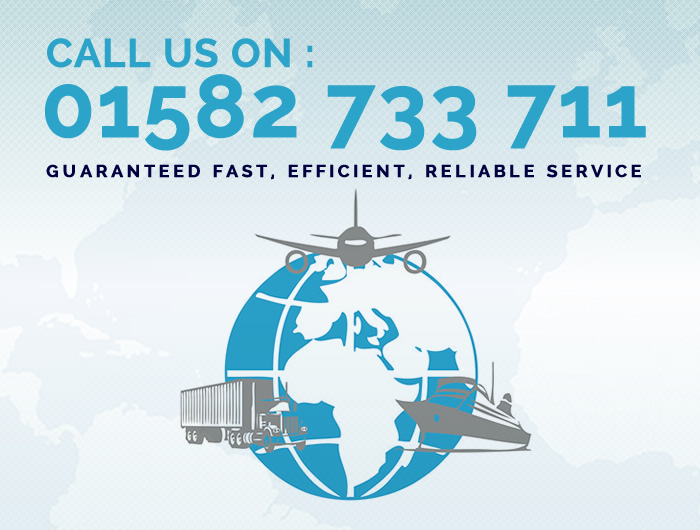 Our worldwide network of associates & agents ensures timely customs clearance and delivery in the country of destination. Please ensure you follow our guidelines to enable us to deliver services efficiently.